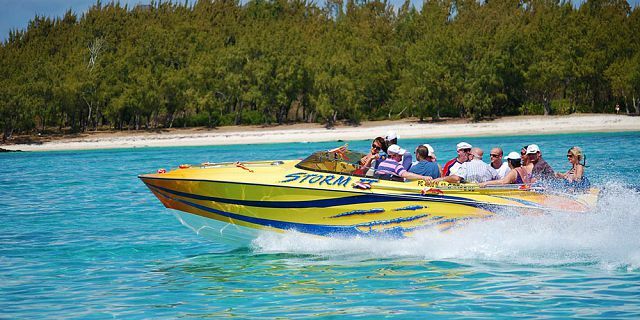 Enjoy a fun and exciting full day Speed Boat trip to the beautiful Ile aux Cerfs Island, including snorkeling at Eau Bleu or inside the lagoon, waterfalls, lunch on Ilot Mangenie, and coastal cruising in high speed and in maximum comfort in a beautiful speed boat. 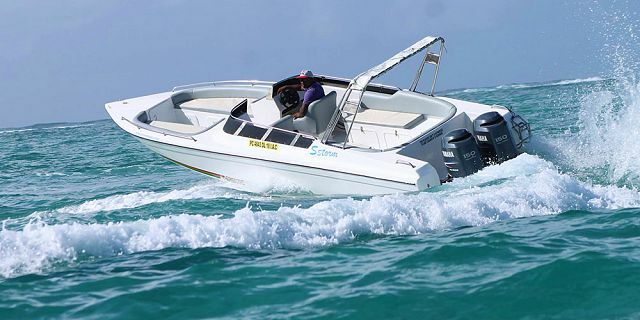 As part of this speed boat trip you will get to enjoy sailing through the crystal clear water of the east coast lagoon with breathtaking scenery all around. 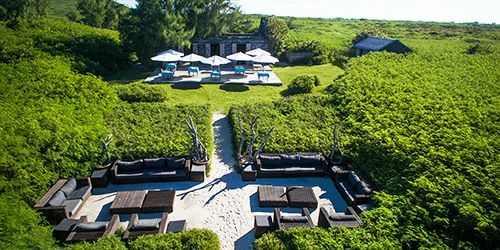 You will get to stay on one of the picture-postcard beach of Ile aux Cerfs, snorkel inside the lagoon or at Eau Bleu, visit the waterfalls, enjoy delicious food served on Ilot Mangenie and a unique Guitar and Jambé Show! 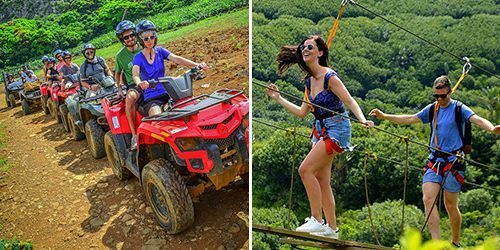 This speed boat trip is all about making sure you have a full day of fun, excitement and discovery of Mauritius breathtaking natural beauty, while discovering part of the Mauritian Culture! 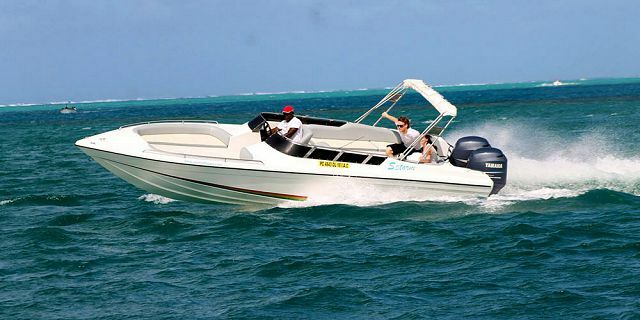 The speed boat trip departs at 10:00 am, departing from Trou D’Eau Douce on the central east coast of Mauritius. From the shore, you will cruise towards the crystal water of the amazing Eau Bleu lagoon where swimming and snorkeling is a must. In case of low tide where snorkeling at Eau Bleu is not possible on the day, then you will enjoy snorkeling inside the lagoon of the beautiful Ile aux Cerfs. The boat skipper will stop in a beautiful location, allowing you to enjoy the underwater marine life and swim amongst superb corals and brightly colored tropical fish. Snorkeling equipment is provided on the boat. From there, the skipper will then cruise along the lagoon proceeding all the way to the Grand River South-East Waterfalls. 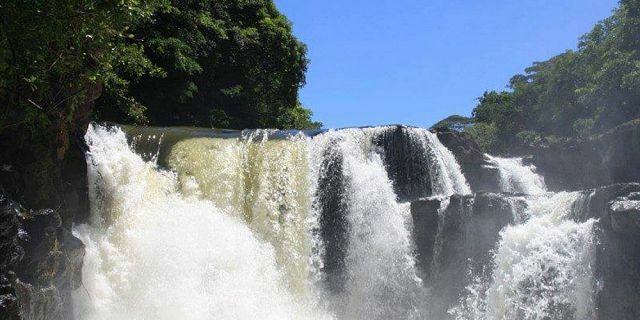 The GRSE waterfall is an exceptional place where land and sea merge. The speed boat will sail along the waterfalls’ canal for the beautiful view of the Grand River South East Waterfalls. The wild flora surrounding the fabulous waterfall is amazing and is colonized with monkeys jumping and playing on the trees just beside the waterfalls as they are used to human presence. 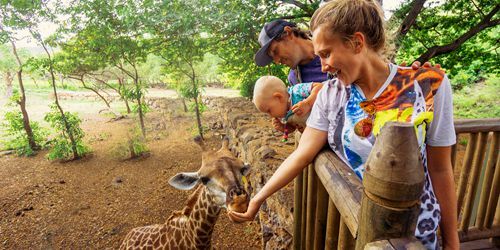 At around Noon, you will go to Ilot Mangenie where a delicious BBQ lunch will be served. The lunch menu consists of Chicken BBQ; Fish BBQ; Grilled Sausages; Rice Salad; Green Salad; Bread. In case you are a vegetarian, please inform us in advance and we will be glad to arrange the a BBQ veg lunch for you to enjoy. 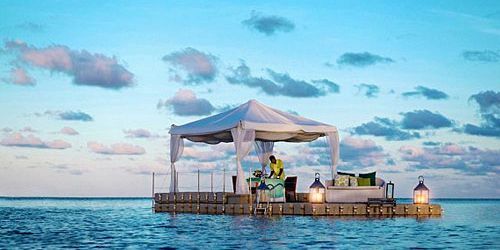 During the lunch, you will be able to enjoy a complimentary selection of drinks including both soft drinks and alcoholic drinks; Water, Soft Drinks, Wine(Red, Rosé and White), Beer and Local Rum. 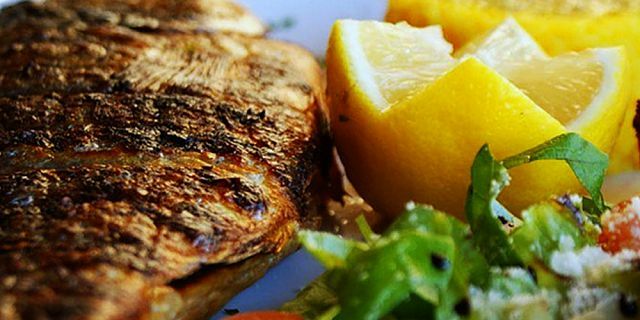 You will end this delicious lunch with local fruits like fresh pineapples. After the delicious BBQ lunch, you will have the wonderful opportunity to enjoy a live Guitar and Jambé Show. It is the Musical Expression of the Mauritian Way of Life: Joy and Liveliness. You can choose to sit and appreciate the live music show or Just let yourself go, join in, let your body responds to the rhythm! You will definitely be enchanted and impressed! 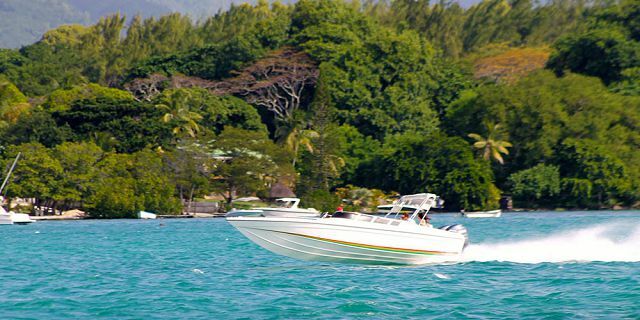 After the lunch, you will be taken by the speed boat to the famous Ile aux Cerfs Island. As you approach the Ile aux Cerfs Island by speed boat, you will see the swaying palm trees and the pure white beaches framed by the vivid turquoise waters. 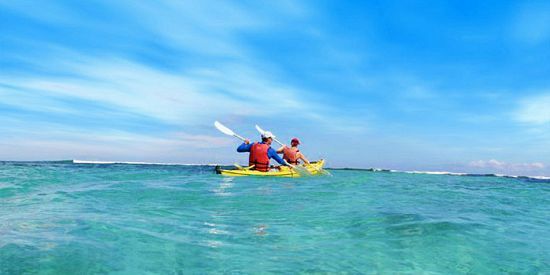 There, you will have free time to spend on the beach, going for a stroll, swimming in the lagoon, snorkeling, relaxation on the beach on enjoying one of the water sport activities offered on the island. 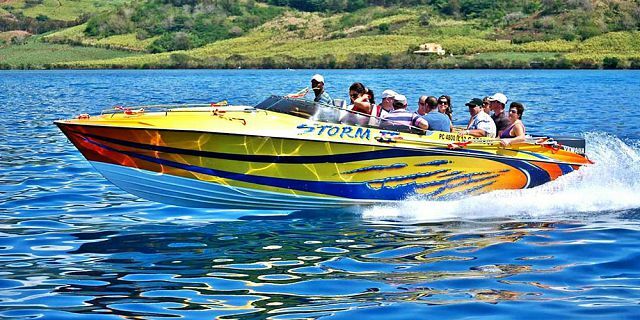 Around 15:30 Pm, time to again board the robust speedboat for a thrilling coastal cruise adrenaline pumping ride for a truly wet and wild experience. 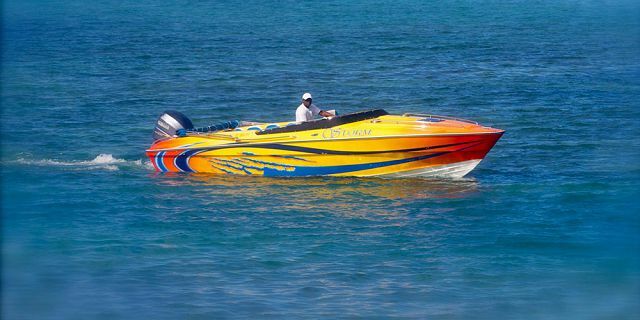 With exhilarating high speeds and crazy spins, the speedboat ride will blasts off to start and splashes down to stop! Experience full throttle runs, sharp twists and turns, and feel the raw power and excitement of the 150 hp Yamaha or Mercury outboard Engine. Expected arrival time back to Trou D’Eau Douce is 16:00. Parasailing - It is possible to organize for you to do parasailing during your time on Ile aux Cerfs. The parasailing offers you a breathtaking bird's eye view of Ile aux Cerfs Island; its beautiful beaches and the beautiful east coast lagoon, making it a truly memorable and worthwhile experience. You can go for the parasailing as individual or as a pair. The parasailing is offered for an additional fee of 24 Euro/person. The whole trip is done in a warm and friendly Mauritian atmosphere! 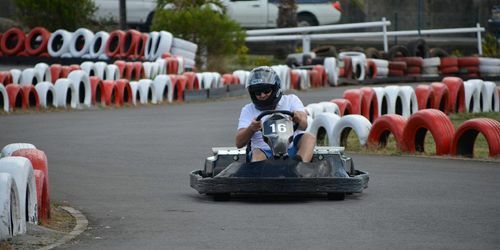 It is an ideal alternative for both those suffering from sea sickness and for anyone looking for a fun and exciting cruising experience in high speed! Please note that snorkelling at Eau Bleu will be decided on the day itself according to the tide conditions. 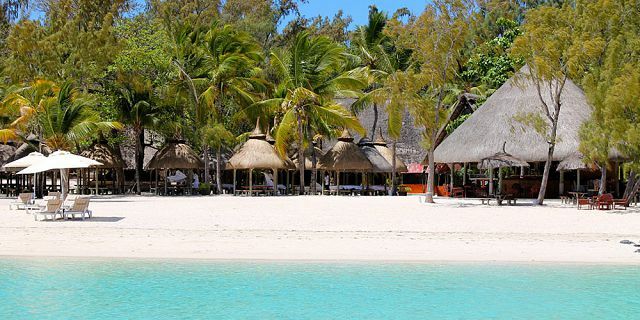 In case of low tide, then the snorkelling will be in the lagoon of Ile aux Cerfs. This trip includes selection of soft drinks and alcoholic beverages served during lunch on Ilot Mangenie, including: Water, Soft Drinks, Wine (Red, Rosé and White), Beer an Local Rum. The lunch offered as part of the trip is a BBQ Lunch served on Ilot Mangenie which consists of: Chicken BBQ; Fish BBQ; Grilled Sausages; Rice Salad; Green Salad; Bread. For an additional charge is also possible to organize for you to do parasailing during your time on Ile aux Cerfs. 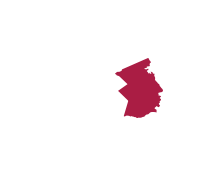 The trip is offered everyday except Saturdays.